Songbird Apartments in San Antonio, Texas has an astounding selection of thirteen unique floor plan options. You are sure to find the perfect apartment home to suit your vibrant lifestyle. Apartment homes feature spacious walk-in closets, as well as beautiful wood-look flooring. Our entire property is adorned with thriving trees and beautiful landscaping. Schedule your personal tour of Songbird Apartments today! Conveniently located near the heart of the Medical Center, Interstate 10, and Highway 410, our residents enjoy all the benefits of metropolitan living. The best dining, shopping, and entertainment venues of San Antonio are all within reach. 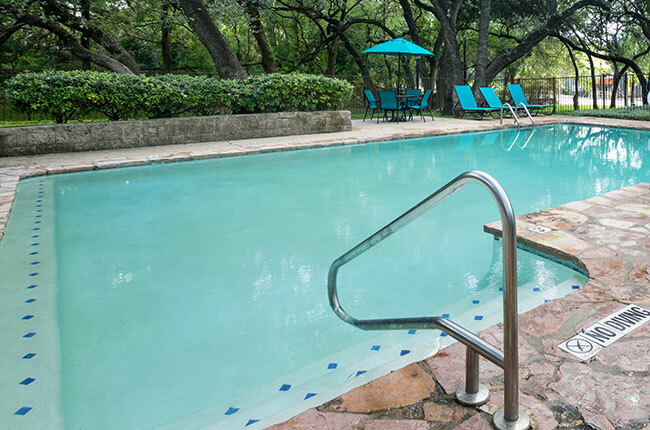 When you need to relax, you can enjoy a beautiful day right at home with our crystal-clear swimming pool– the best way to cool off on those hot San Antonio days.